1. These Terms of Service set force the requirements of offering this Service or Rights and Obligations between our Company and Users as to the use of this Service and have efficacy on any relations between our Company and Users as to the use of this Service. ２．The rules as to the use of this Service which our Company specifies in our Company’s website are part of these Terms. ３．In circumstances when the contents of these Terms conflict with any the rules mentioned in the previous clause or any other explanations specified outside these Terms of Service, these Terms shall be preferentially applied. The following terms referred to in these Terms shall respectively have the meaning defined bellow. （１）”Contracts of Use” means contracts of using this Service concluded between these Terms and our company and the customers. （２）”Intellectual Property” or “IP” means copyright, patent right, utility model right, design right, trademark right and other intellectual property rights (these include the right to obtain and apply for the registration of these rights). （４）”Our company” or “We” means or refers to Eversystem Inc.
（５）”User” means or refers to the individuals or corporations who use this Service in accordance with Article 3. Registration. 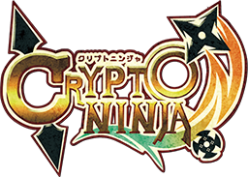 （６）”Service” means or refers to the service named “CryptoNinja” and, in case of the revision of the name of the service, the service after the revision. １．Users can apply for registration to this Service by agreeing with the observation of these Terms and by submitting by means of following the instruction we provided. ２．Our company shall determine the propriety of the registration by the customers who attempted to register to our Service (hereinafter referred to as applicants), in accordance with our criteria. ３．At the moment of the completion of the registration defined in the previous clause, the Contracts of Use shall be concluded between the User and our Company. With the completion of the registration, Users may use this Service. ４．Our Company may decline the registration or reregistration in case of the applicant comes under the issues bellow, and We will not be obliged to disclose the reason of the decline. （１）All or part of information provided by the applicant is false or incorrect or inadequate. （２）The applicant is underage or an adult ward or a person under curatorship or a person under assistance, and the applicant has not concluded agreement with his/her legal representative or guardian or curator or assistant. （３）The applicant is belong to antisocial force (antisocial force means gangster or right-wing group or groups equivalent to antisocial groups), or relates to antisocial force or helps antisocial force to maintain through financial supports or other measures. （４）The applicant breached the Contract of Use in the past (hereinafter referred to as “Violator”) or has relationships with Violators. （５）The applicant has been subject to the actions defined bellow in Article 9. （６）In case our Company judges that the applicant does not reach the criteria. １．Users should be responsible for managing their account and password for this Service, and Users does not have the right to letting any third persons use the accounts or passwords, or the right to renting or transferring or trading the accounts and password to third persons. ２．Not our Company, but Users will be responsible for any loss occurred due to inefficient management or misuse or use by third persons. １．Users are obliged to pay fees (the price is shown on our Company’s web site) for their use of Service to our Company through measures which we specify. ２．Users will be responsible to pay for the purchase, installation, and maintenance of necessary softwares and devices to use this Service or the fee for data transmission or electricity or any other objects. （１）breach laws or are related to illegal activities. （２）are equivalent to fraud or intimidation towards our Company or other Users or any other third persons. （３）against public orders and morals. （４）violate IP right or Image tight or privacy or honor or other rights and interests of our Company, other Users or any other third persons. （５）overload against the network or system of this Service. （６）potentially interfere the operation of this Service. （７）illegally access or attempt to access to the network or system of our Company. （８）impersonate as a third person. （９）use other User’s ID or password. （１１）are offensive and violate the interest of our Company, other Users, or any other third persons. （１３）are directly or indirectly associated with any of other issues specified on this list. （１４）our Company acknowledges as inappropriate actions. １．Our Company shall have the right to suspending or interrupting whole or part of this Service without informing Users of the suspension or interruption beforehand when following situations happen. （１）When we are in need to immediately operate inspection or maintenance of this Service. （２）When computers or data transmission line are suspended due to accidents. （３）When we are unable to operate this Service due to earthquakes, lightning strikes, fires, storms, floods, power outages, natural disasters, or other unexpected disasters. （４）When we acknowledges the need of suspension. ２．Our Company will not be responsible for the loss that Users may experience because of the actions we implemented in accordance with Article 7. １．Every Intellectual Property right of this Service is attributed to our Company or the agents who grant the license to our Company with consent, and granting Users the right to use of this Service in accordance with these Terms does not mean that Users are allowed to use IP right of our Company or the agents who grant the license to our Company with consent. １．Our Company has the right to deleting the data or temporarily suspending the use of Service by the Users or deregitrating the Users from this Service or terminating the Contracts of Use with the Users, when the following situations happen. （１）Users violate any of these Terms of Service. （２）Users has not responded more than 30days to contacts from our Company asking them for responses. （３）Users come under any of issues specified in Clause 4, Article 3. （４）Our Company acknowledges that use of this Service by the Users or the registration of the Users or the continuation of the Contracts of Use with the Users is not appropriate. ２．When Users come under any of the issues in the previous clause, the Users will be obliged to immediately pay their debt to our Company. ３．Our Company has no responsibility on the loss the Users may experience due to actions we implemented in accordance with Article 9. １．Our Company shall have the right to amending the contents of this Service or terminating this Service. In case we terminate the operation of this Service, Users will be notified before the termination of this Service. ２．Our Company has no responsibility on the loss the Users may experience due to actions we implemented in accordance with Article 10. ３．Our Company shall have the right to deleting or transferring the data or or other revisions without informing Users of the actions beforehand in the case of following situations. （１）The contents of the data of this Service violate these Terms of Service. （２）Our company will not be able to maintain the data of this Service due to potential data overload or technical reasons. （３）Our Company acknowledges that the data impede the operation of this Service. （４）Our Company acknowledges the need. １．Our company do not warrant that this Service abides by the specific purposes of Users or that this Service has the functions, commercial value, accuracy, usefulness that User may expect, or that the use of this Service by Users does not violate the internal regulations of certain laws or industry organizations, or that this Service does not cause malfunctions. ２．Our company are not responsible to compensate for the loss that User may experience ( hereinafter referred to as “User loss”) such as the suspension, interruption, termination, amendment of this Service, or the deletion or loss of the data or messages sent by Users, or the deregistrations of Users, or the malfunction or damage of Users’ devices. ３．Even in cases where we are responsible for user loss, we are not obliged to compensate more than the amount which the User has paid in the last 12 months, and also we are not obliged to compensate for any incidental or indirect or abnormal or future loss. Users shall not disclose any private information of which our Company informed the Users in request to not disclose, except when our Company provided the Users with documented agreement in advance. ２．Users shall not disagree on that our Company has the right to using and publishing the information or data with which Users provide our Company with as statistical information which enable no one to identify any personal information. Article 14. Prohibition on Transferring Rights and Obligations. Users are prohibited to transfer part or all of the status or rights or obligations as Users based on these Terms(hereinafter referred to as Rights and Obligations to any third persons or change the holder name of Right and Obligations or use Rights and Obligations as collaterals or dispose of Rights and Obligations. Our Company shall have the right to amending these Terms of Service. In circumstance when our Company amends the Terms, We shall inform Users of the detail of amendments, and Users will be considered to agree on the amendment unless Users follow the deregistration procedure during the period set by our Company. Communications or notifications from Users to Company and communications and notifications from our Company to Users are conducted in manners which our Company specifies. １．Users are not permitted to transfer or grant or offer as collaterals or dispose of the User status or Rights and Obligations in accordance with these Terms unless our Company agree with documents. ２．Users shall agree on that the User status or Rights and Obligations in accordance with these Terms or the registered User information or other customer information are transferred to the transferee company in circumstances when our Company transfers the business relating to this Service to another company. Additionally, transfer of business which this clause specifies includes not only normal transfer of business but also any other transfers happen by the separation of our Company or transfer of business. Even in circumstances when any of the articles or part of the articles of these Terms is considered as invalid or incapable implementation in accordance with Consumer Contract Act or other laws, the rest of the articles continue to have the complete efficacy. １．The governing law with which these Terms of Service or Contracts of Use accord is Japanese law. Additionally, Users shall agree on that, even in circumstances when trades of goods occurs on this Service, United Nations Convention on Contracts for the International Sale of Goods shall not be applied. ２．Any dispute arising out of or in connection with these Terms or Contracts of Use shall be subject to the exclusive jurisdiction of the Nagoya District Court in the first instance.